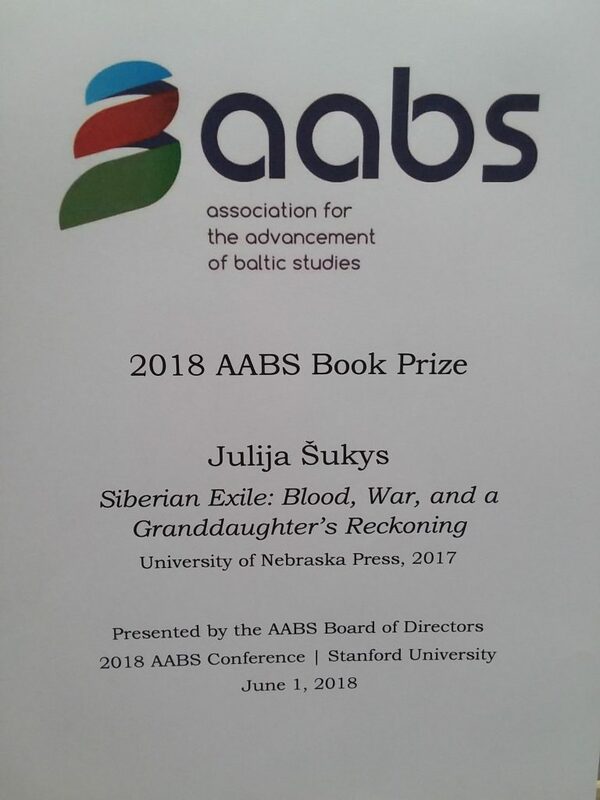 Siberian Exile Wins 2018 AABS Book Prize | Writing. Life. This entry was posted in Academia, Awards, Creative Nonfiction, Exile, Family, Ona Šukienė, Publishing, Uncategorized, War by Julija Šukys. Bookmark the permalink.